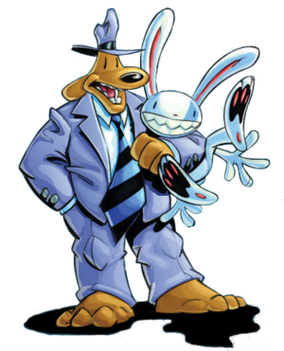 Sam & Max is a media franchise focusing on the fictional characters of Sam and Max, the Freelance Police. The characters, who occupy a universe that parodies American popular culture, were created by Steve Purcell in his youth, and later debuted in a 1987 comic book series. The characters have since been the subject of a graphic adventure video game developed by LucasArts, a television series produced for Fox in cooperation with Nelvana Limited, and a series of episodic adventure games developed by Telltale Games. In addition, a variety of machinima and a webcomic have been produced for the series.